I've mentioned before that we're working on a project that's a marriage between a local history museum and hands-on science center: the Fort Collins Museum and Discovery Science Center. One of the strategies in terms of exhibit development is leveraging the history to support the science, and science to back up the history. This helps create an environment which is multi-layered, and connection-rich (not to mention a nice match with current educational standards). 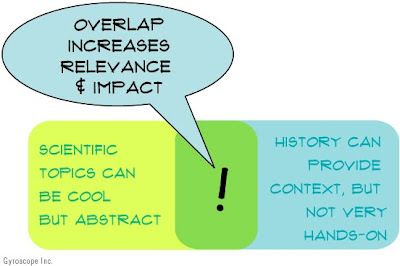 Using history to provide context to the science presents the concepts in a real-world manner. 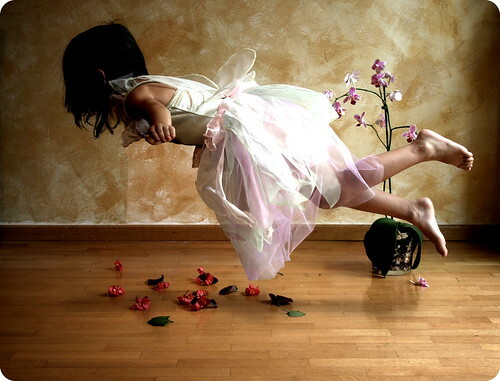 Visitors don't tend to experience life in isolated silos of science, history, art, etc. They experience them simultaneously, so this is a familiar fit. At the same time, science and scientific phenomena can provide a level of impact and wonder that history can't. The vehicles in science museums tend to be more hands-on. So we're using the engaging tools of science exhibits to provide attractors to both topics. On another level, we're using this overlap approach in two other ways. 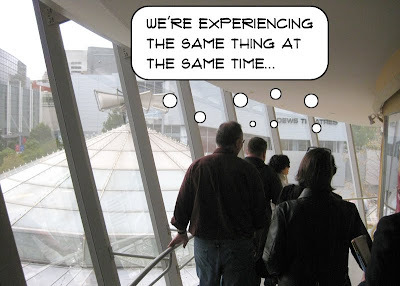 One is that we're fostering connections between global topics and visitors by using local instances of an idea, and vice versa. The other is by highlighting role models of all ages, shapes, sizes and abilities. This brings a first-person voice to the multitude on the museum floor- it personalizes the experience. It also can have the affect of making seemingly out of reach achievements seem more... acheivable for the average Jill. 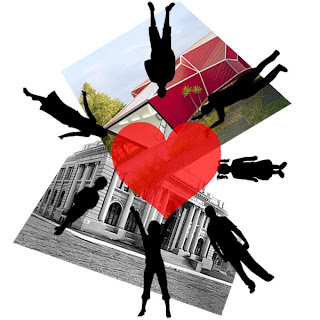 The ideal for any cultural institution marriage is to develop a situation where the complementary qualities can come together and create something bigger or better than either could be on their own. 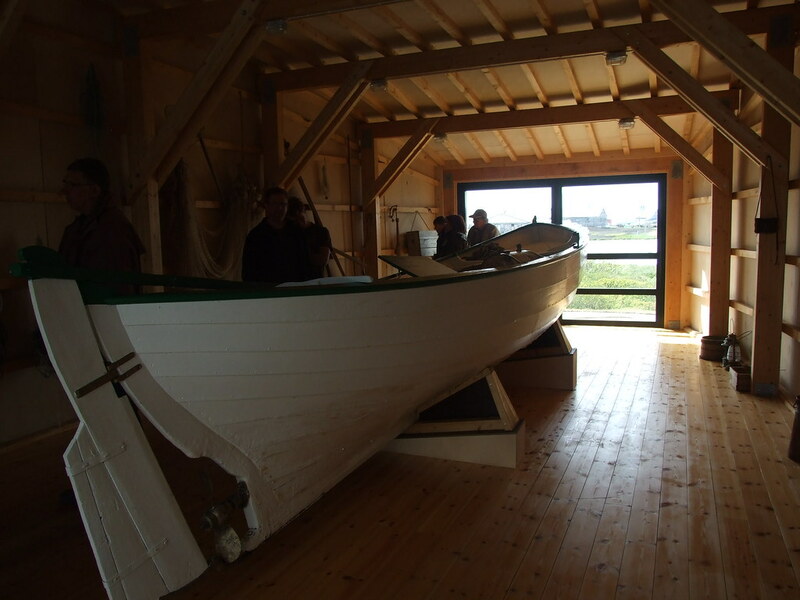 Prior to a new building, the Museum is starting to experiment in the existing museum and via their blog to with these ideas. Take a look! Beyond the material specifications, another key sustainable strategy we used for Tempe Historical was to design a system for displaying artifacts and telling stories that was easily reconfigurable. The limitations of a single purpose exhibit often lead to a short life span and staff being constrained by whatever assumptions the designers were working with. 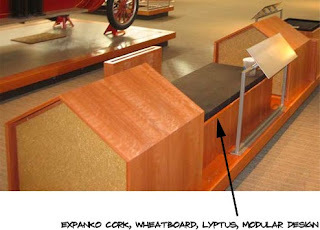 For this client we came up a modular design let the museum re theme their exhibits and adapt over time. 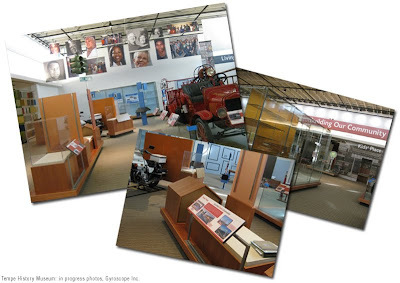 One design is a system of platforms that support interchangeable graphic stands, artifact displays, and flip books which include visitor's stories. The platforms ties all the modular parts together into a cohesive exhibit and become an organizing element for the museum. One challenge for this modular approach is creating the appropriate level of interchangeability. A system can become burdened by it's own flexability at a certain point taking on too many features that may never be used. For Tempe we worked hard to insure they had a framework to support the change but the primary goal was to present the artifacts and local history in a compelling way. 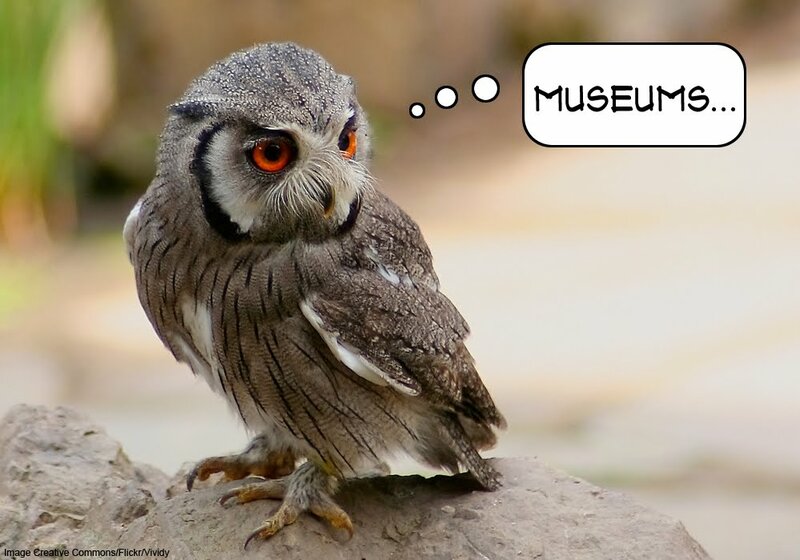 "The project responds to calls for broad environmental education of the public in response to environmental crises (such as climate change), and specific research suggesting that even museums that do provide information about such issues rarely help their visitors learn to make the comparisons necessary to make more sustainable choices. For the public audience, the project team will create a 1,500 sq. ft. bilingual (Spanish/English) exhibition to encourage the public to develop skills in making personal choices that affect the sustainability of their community." 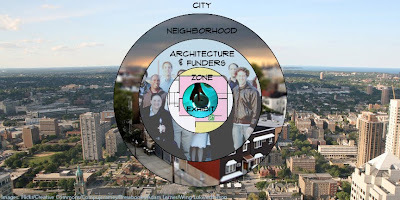 "For the professional audience, the team will create a set of tools and indicators for assessing the sustainability of exhibit-development processes, using the triple bottom line of financial, environmental, and social impacts. For example, a Green Exhibit Guide will provide resources and a checklist for exhibit development projects, and will propose field-wide standards analogous to the LEED (Leadership in Energy and Environmental Design) rating system for green buildings. Regional workshops will engage exhibit developers, designers, fabricators, and administrators in using the tools in their own institutions." Scott Moulton, LEED® AP of our office will be an advisor for the professional audience segment of the grant. We'll post relevant updates as they become published. Congrats to the team! I thought it would be interesting to use one of our current projects, the Tempe Historical Museum, as an example of some of the different sustainable strategies that we are employing here at Gyroscope. 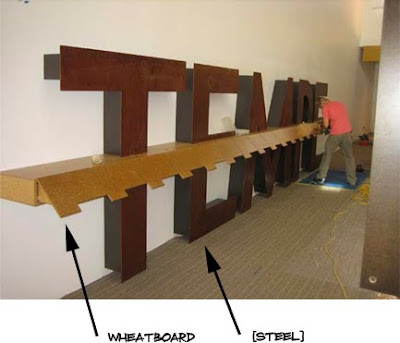 It also gives us an excuse to show off some cool in process photos of an exhibit being built and installed. Our approach to green design on this project can be found in the way exhibit content was developed: a modular display system that allows for ongoing adaptation, the minimal use of integrated lighting, and in the specification of beautiful, durable green materials. Today I'll focus on the topic that everyone loves when talking about green design - the materials. Here is a laundry list of some of the interesting materials we used along with their properties. 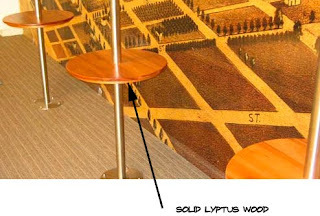 Lyptus Wood - Fast growing variation of eucalyptus that is sustainably forested. 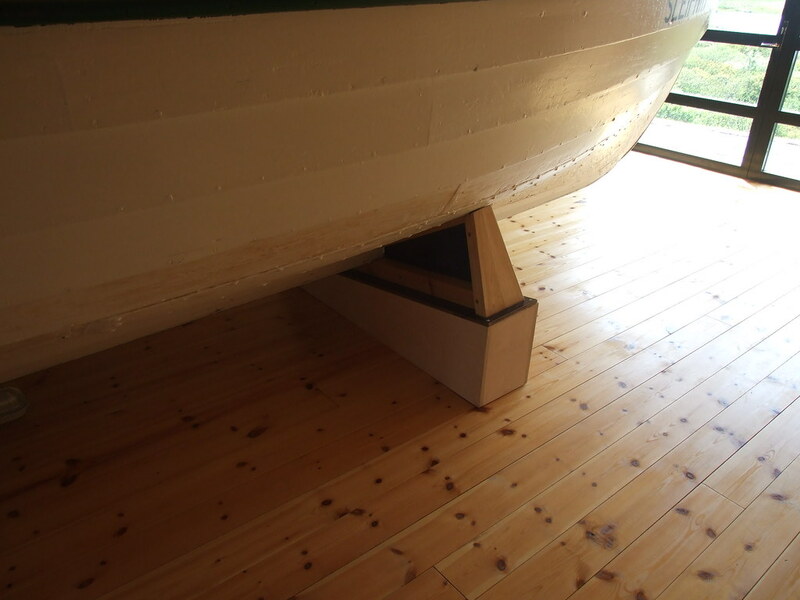 Solid wood was used extensively for it's durability. Expanko Cork - Combination of recycled cork and rubber. Cork is a rapidly renewable resource and XCR4 is a very durable flooring material. 3 Form Chroma - translucent plastic material can be re-surfaced and re-colored. 3-form has a program to reclaim material. 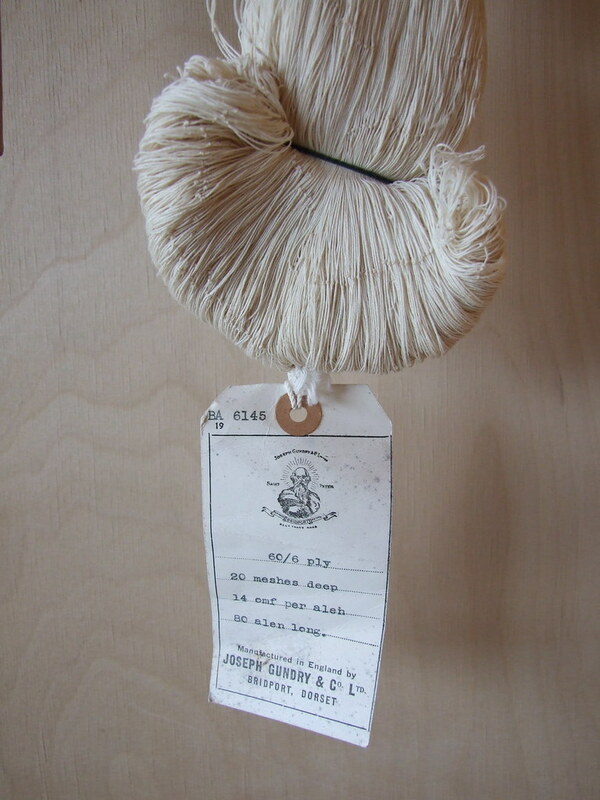 Wheatboard - a panel material made from a rapidly renewable agricultural resource. Net greenhouse gas contribution during life cycle analysis of wheatboard is negative! Valchromat - a through colored mdf (for durability) using organic dyes. No added formaldehyde, wood fiber from forrest waste. 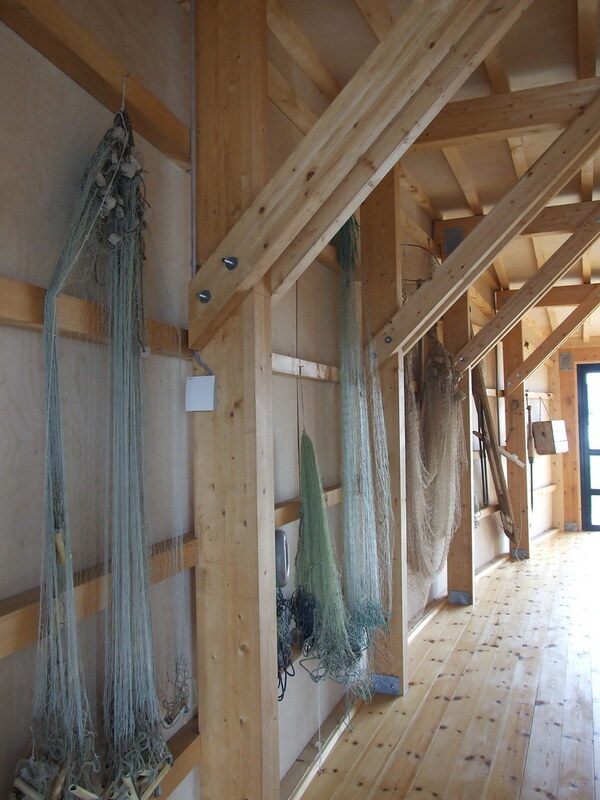 Labels: "green design" "sustainable" museums, "Lyptus Wood", "maria mortati"
So, why do museums like tinkering? Tinkering is intergenerational - Museums increasingly understand the importance of supporting adults’ active engagement and are looking for experiences that encourage adult participation. 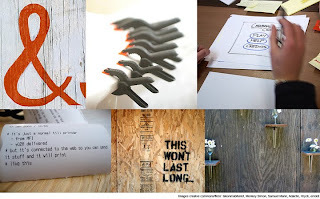 Tinkering supports repeat visitors - It is an inherently rich, layered experience. It is easy to customize, and it supports long dwell times. This allows people with a range of abilities and levels of expertise to be successful. Tinkering is interdisciplinary - Tinkering, with its combination of engineering, experimentation, technology, construction, and aesthetics has multiple entry points, is open to diverse play and learning styles, and can have many outcomes. Tinkering develops skills - Whether taking apart an old toaster or building a robot the activity is process-oriented and fosters critical thinking. Such experiences encourage lifelong learning, which is increasingly emphasized by many museums. It is authentic – Whether taking toasters apart or building robots, welding or sewing, tinkering uses real tools and materials. Often it is messy and it certainly could be a little dangerous! 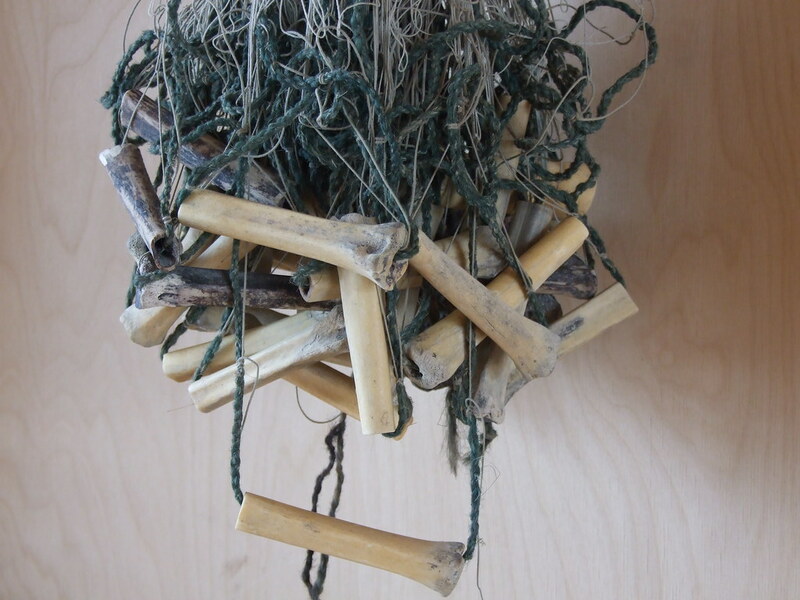 Documentation and Reflection - While tinkering, visitors make things. These artifacts can be displayed to inspire others, or used to document the maker’s learning (see the Standards of Excellence report for more on this). It supports constructive play - Tinkering emphasizes inquiry, science concepts, engineering and invention. There is room for imagination as tinkerers build scenarios around their creations. But it departs from more traditional immersive role-play exhibits. Its good for business - Tinkering is also good for the business of museums. Tinkering’s mix of engineering, science, and creativity is highly fundable. It is seen as developing the innovative thinking critical to the 21st century workforce. All together these aspects of tinkering describe a different type of museum, and one that helps position its users for success in the new economy in ways even they didn’t predict. Over the past month I have heard about tinkering on NPR, and read about hakerspaces – collectives that operate workshop/lab spaces - in the Wall Street Journal. I learned that Home Depot attributed a drop in profits to more people fixing leaky faucets, rather than replacing them. And my kids started asking to see Disney’s newest Tinkerbell movie, in which she completes her makeover from magical fairy into a creative and capable problem solver. "Tinkering" has become a popular American movement. Fixing what you have, and saving spare parts, is what my grandparents’ generation did too, coming out of the Great Depression. One of the differences today is the DIY movement represented by Make Magazine, The Tinkering School, and even the quirky Slow Media folks. It was really just a matter of time before tinkering moved from the margins into the center. What really made me stop and think was the realization that museums have been out in front on this. Just to pick three examples: The Austin Children’s Museum has a Tinkerer’s Workshop and a Maker Kids exhibit (and was involved in the MakerFaire/Austin); the Exploratorium’s newest ExNet exhibit is on Tinkering; and Explora offers exhibits like Systems In Motion and My Chain Reaction. Next: Why Do Museums like Tinkering? 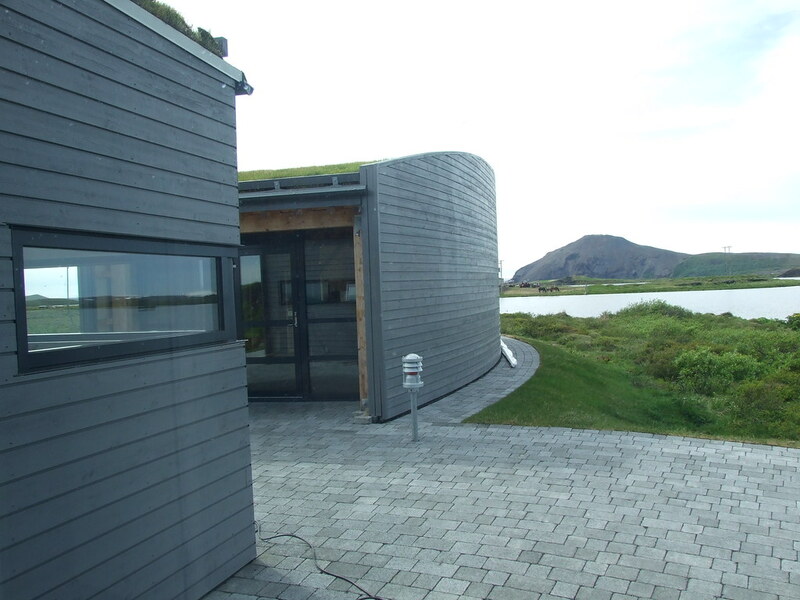 Since winter approaches, thought a quick post about a museum in Northern Iceland might be just the thing. 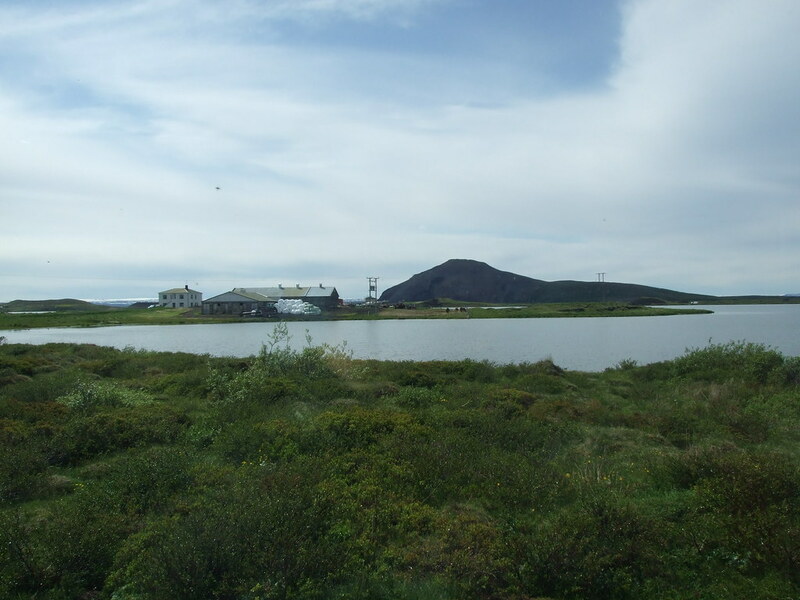 This summer I visited the Sigurgeirs Bird Museum on Lake Myvatn (which I touched on in an earlier post. Will come back to it). 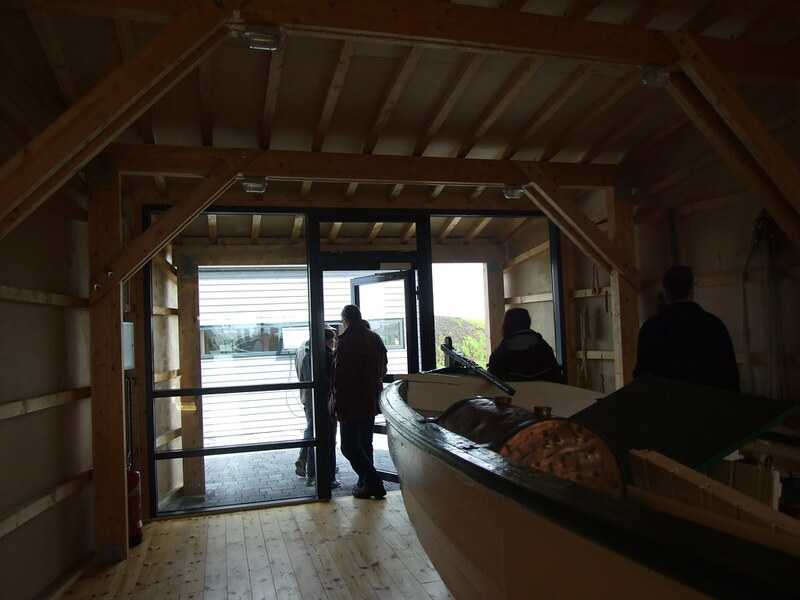 They were about to open an adjacent building created specifically to house one of the earliest boats used on the lake, and let us in take a look. For me it was really a tribute to experience through design. This isn't a place where you want to add your story, make your mark or be a part of a larger whole through dialog. It's a place for reflection, and calm and a little sadness– all reinforced by careful editing. Note: click on the images for descriptions. This simple, profound design etched a place in my brain that most others have not. It's left space open for me to have emotions about the experience without the cacophony of the rest of the world. 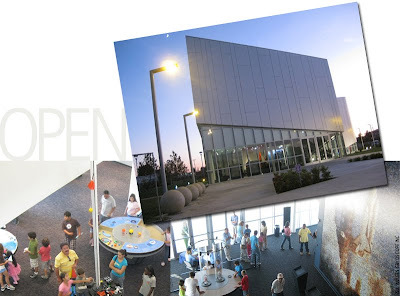 This past weekend marked the opening of the Columbia Memorial Space Center in Downey California. Gyroscope has been working on this project from its inception five years ago, and we are pleased to have seen the very first visitors enjoy the interactive exhibits at the Center. Downey was one of NASA's technology and production facilities and grew out of the early aerospace industry there. Among its notable achievements was the development of much of the Apollo program space vehicles, and the crew compartment of the space shuttle. The project is named as a memorial to the astronauts who died in the disastrous re-entry of the Columbia space shuttle. Though history is featured, the intention of the Center is to showcase past, present, and importantly, developing technologies. With the goal of fostering interest in science and technology in its visitors. 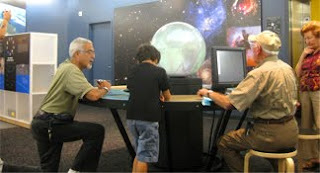 At the opening events, there were many retired engineers who had participated in pioneering space science developments. These developments are visible just out the windows from the new Center. The encounter that struck me the most was a conversation with an Hispanic mother of an 8 or 9 year old boy who really wanted her son to be inspired to pursue his interest in science– knowing that it could lead him towards future opportunities in a career that might not only fulfill his potential, but perhaps someday allow him to make his own contribution to the world. She asked if she might be able to volunteer at the center, as well. It is extremely satisfying to see this new city-funded and city-run institution reach so many in their re-emerging community– from the aerospace workers with stories to share, to the young adventurers of the as yet uncharted future. "A dynamic moment in American architecture — the explosion of art museums, concert halls and performing arts centers that transformed cities across the country over the last decade — is officially over. The money has dried up, and who knows when there will be a similar boom." In my last post, I wrote about the influence of city --> neighborhood --> architecture --> on exhibit experience in the context of a visit to the EMP. Mr. Ouroussoff’s recent article provides a bit of support to my thesis (but written on an appropriately lofty, grand level). 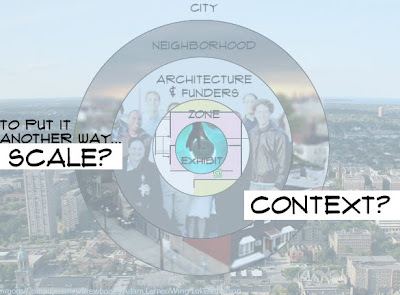 He evaluates the success or failure of large cultural centers through the appropriate application of context and scale. This lens belongs in all layers of the design process: revisiting, and continuously being mindful of these two powerful factors. It’s not just about aesthetics, but how those aesthetics create or engage “place” which forms an experience. “But their success has as much to do with context and scale as with the quality of the architecture. Millennium Park and the Miami cultural district abut relatively healthy, historically rich urban districts. And neither is bigger than a few city blocks. Makes sense that the role of good (considered) design would be thoughtfully related to the constituents of a neighborhood. If they are your audience. However, I think that a good master plan must take this into consideration. Determining whether those are bridges or barriers is something which ideally comes out of that process. PS: If you don't have time to read the article, there is an historic overview of the of arts complexes here. While it includes a science center or two, the de Young (Herzog de Meuron) & Academy of Sciences (Renzo Piano) campus is conspicuously absent... along with the EMP. 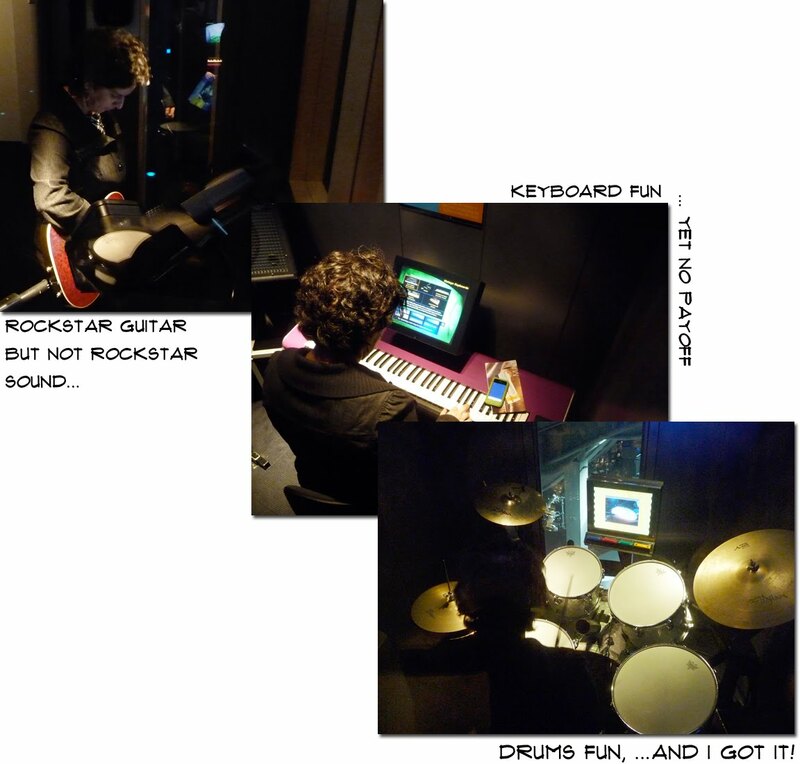 This week, I was back at the EMP (Experience Music Project). I loved the fact that I could get my hands on real gear and PLAY. 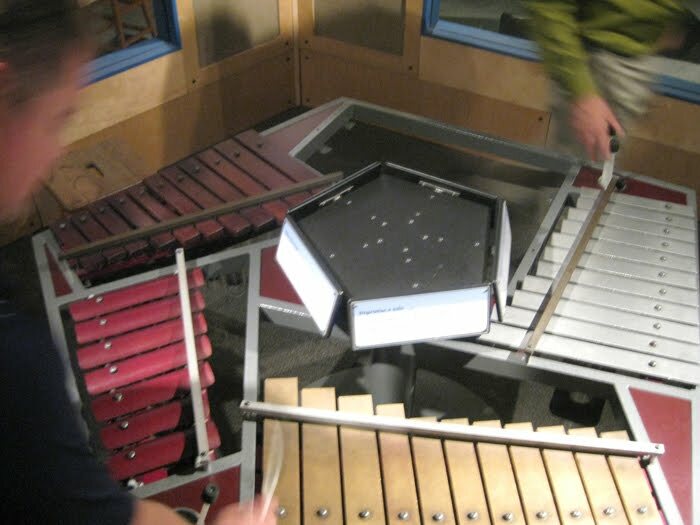 For those that haven't visited, there is an entire zone of the museum where you can try your hand at guitars, drums, keyboards in open "pods". You can also go into sound isolation booths and "learn to play", and record. While that was super fun, it felt a bit finished and sleek an environment for a me as a novice. The contrast between the environmental design and what I brought to the table was... dramatic. Sort of like asking me to sculpt in the white galleries of the MOMA next to a Donald Judd. The people that created the exhibits developed cool, cutting edge, custom work. Their innovations span the visitor experience/informal learning all the way through to design and technology. They fundamentally moved the conversation ahead for all of us with their innovations. Yet it wasn't the exhibit interactives that, err, set the tone. My experience started with the city this baby was born in, and the immediate neighborhood it was sited in. The funder and subsequent starkitect formed the environmental capsule and set the tone. Those top level considerations had huge impact my resulting experience- and it's important to note that translates to impact on learning, repeat visitation, and many other things many of us are passionate about. In my ideal universe, we have those conversations early on, so that's what drives the bus. VH1's True Hollywood Story (THS), CSI, and Make Magazine all point to one thing: people have an innate fascination with what's behind the curtain. Some different than others, but no less passionate. What we often suggest to our clients is that this desire is an excellent motivator for engagement. Instead of exclusively focusing on a highly digested message or veneer, make room for letting people see the nuts and bolts of your operation. Or make that your entire experience if you can. Often we think of an exhibit as the culmination of ideas and the period to the sentence of investigation. So how might we turn this on its head and include them in the investigation? Truth be told, I'm the first person to admit falling in love with an exhibit idea and running away with it. The challenge is how to leave enough room for someone I don't know to contribute to the overall solution or experience. That aspect in exhibit development craft is becoming accepted, but moving beyond the individual exhibit to the entire environment is a bigger leap– for lots of practical reason$. 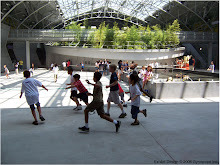 "Children need to touch, explore, build, and do. The Play Zoo lets them touch animals, build habitats, paint murals, examine animal X-rays, plant gardens, dress up as a bird, discover insects, and more. The primary goal is to foster feelings of love and caring toward nature by doing, rather than communicating scientific concepts or facts. Brookfield Zoo wants kids to feel connected with nature and have fun doing it!" The power of involvement in a shared discovery process vs. simply being "told" is huge, and its manifestation can run from open labs & storage, to public programs, or exhibit programs where the visitor is a key component of the outcome. One strategy is to find ways to make the work you are doing simply visible. I would argue that the impact on the visitor of role modeling is a powerful tool not to be easily overlooked. Thousands of people get exposed to possibilities beyond the museum's topic-du-jour when they see us at work. From an operational perspective, making our work transparent has other benefits. I used to work in the machine shop at the Exploratorium. Working with loud equipment has its own challenges, working with loud equipment inside a museum where there were thousands of visitors mulling around added a level of complexity to my day. It also created an inescapable awareness of who I was working for. That atmosphere has an amazing ability to focus on our true objective. So far, it appears that the project is in the early stages with students and local area folks in Boston and Paris making "tours" and adding content. In other words, there's not a lot there yet. However, it's an exciting umbrella to develop. 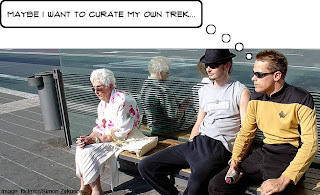 Whether the public is able to make this happen with existing tools, or MuseTrek can expand to become a culture-sharing platform remains to be seen. Yet the drive to share and make sense of what people see in museums remains quite powerful. Update: the San Francisco Chronicle just posted an article about Scenic Route: "...a site that builds custom, on-demand walking routes anywhere in San Francsico". 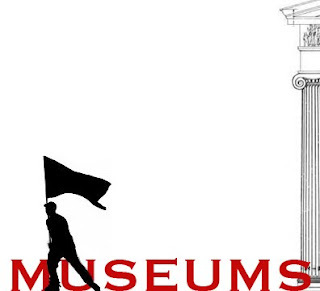 In the UK there is a similar project to MuseTrek and Scenic Route called I Like Museums. I started reading David Carr while working on a community needs assessment for a library interested in adding a children’s museum to its core set of services. In thinking about the overlap between libraries and museums Carr’s perspective is unique and immensely valuable. I don’t know which came first - his nuanced understanding of libraries as centers of learning (compared with book repositories) or his insights into the needs of library users as learners reaching out at a critical juncture for resources and tools to help them move forward in their lives. The two ideas are intertwined in his work and Carr has written movingly about their implications for library practice, and library workers. Early on, Carr recognized that libraries and museums shared some key characteristics that allowed lessons learned in one domain to serve as a useful lens for the other. As early as 1996 Carr was writing about the opportunities for libraries and museums to collaborate. Carr is intensely aware that libraries and museums are service-oriented, and he has a finely tuned understanding of how complex their users are and of the challenges this poses for the people working in them. In his writing Carr investigates the role of librarians as mediators helping learners successfully access the tools and information they need. He has extended this same critique to museum professionals. This vision still applies today. Allowing visitors to ask questions in an authentic (rather than rhetorical) way is at the heart of many recent more experimental exhibit techniques and strategies. And the behaviors associated with inquiry-based learning – including, in part, trial and error, experimentation, peer-to-peer learning, and conversation among visitor groups - seems to be increasingly at the center of our clients’ concerns as they work to realize their goal of serving as critically necessary resources for their local communities. "...the Coburn/McCain amendment—which would have prohibited any funding from the Transportation Appropriations bill from going to any museum—was defeated on the Senate floor on Sept. 16." 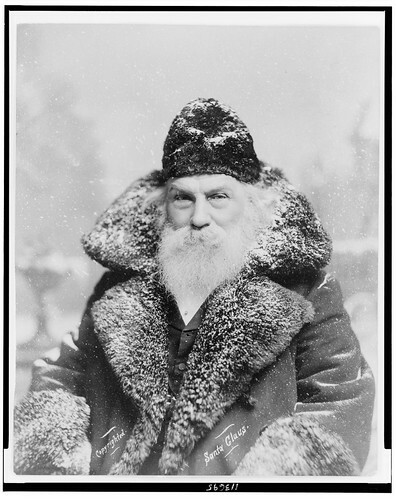 Ford Bell, AAM President went on to state the cold hard truth: we have to stay on top of this stuff. It may not be very exciting and feel all that cutting edge to write your senator or call. But if you want a museum that's cutting edge to go to, then you've got to stand up for them. So thanks to all who did, and to all who will in the future! Great job. 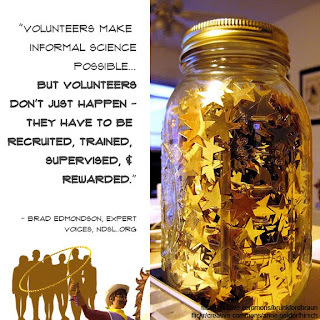 I read a blog post called "Managing Volunteers in Informal Science Learning" by Brad Edmonton. It's part of the National Sciences Digital Library "Expert Voices" blog. The above quote is from him, and it's a good read on "How to recruit, train, supervise, and reward volunteers in informal science institutions." As most of us know, it's not always easy to make the volunteer thing work. They wanna show up and leave when they like, and how can you plan for them when you don't know if you can count on them? 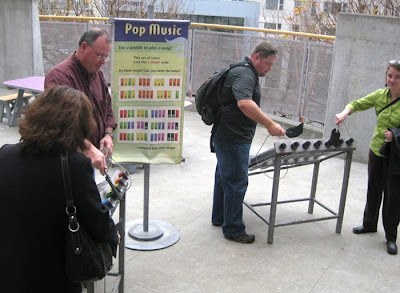 When I was an Exhibit Developer at the Exploratorium (do I really have to give you that link?) the wonderful Deirdre Araujo (Manager of Volunteer Services) would get groups in from a large corporation to "help out" for a day. She needed work and I had work to do. Sometimes, they turned out to be a great bunch, and it went smoothly. Other times... not so much. However, I would end up having a lot of fun with people I would not normally meet. They got out of the office and got their hands dirty. From my time there, I saw two types of volunteers: those who were there because they had to, and those because they wanted to. I felt the most "evangelistic" towards the former group, because I believed they were future visitors or donors. Plus I wanted them to go back to their corporate office believing it was worth it to spend a day at a museum. From their dirty happy faces, I think it was. At the very least, a hand full of souls learned how to clean the sand out of Fading Motion. Exhibit photo courtesy of the Exploratorium. What aesthetic does a prototype need? Should a prototype exhibit or space in a museum feel as refined as possible, or like an experiment? We've been working on this with a client who is starting to test out ideas (as well as themselves) through prototyping. The Fort Collins Museum and Discovery Science Center merged last year, and while they are in development of their new facility, they have moved in together. They are smartly using this opportunity to test out new ideas, their relationship, and inviting the public in to participate. One question that's come up is what should this look like? Does it want to look like a finished exhibit? Our recommendation is that it is more inviting for visitors if it feels like a prototype- leave things unfinished (but safe) and loose. For example, print out graphics and clip them up, leave the walls bare white or unfinished. Clamp on lighting- you get the idea. This creates an environment where both ends of the relationship can take risks and have permission to mess up and iterate. Our experience is that the visitor will be more open to raw ideas presented if they come into it as an invitation into your experiment. They can feel like they are a part of the process at the museum. Which they are. You can also invite them to come back and be a part of the testing and development as things progress. A great vehicle for repeat engagement. We're excited to see how things progress, and we'll report back from time to time as things progress. This is going to be fun. Increasingly, our clients are less focused on a new larger building, and more on shaping their existing organization to better address audience needs. We talk a lot about how to manage this type of transition – after all, the organization has an existing culture, way of working, and audience expectations that need to be navigated carefully. We believe you need a big vision and a coherent plan to guide change (as evidenced here, here, and here). But change itself can happen incrementally, through iterating. Piloting, or iterating can help you build credibility, capacity, and a track record of success. By “capacity” I mean internal, operational capacity, as much as I mean fund-raising capacity. It’s hard to change from the inside out, but it’s a mistake to think that it is easier to close the old museum one day and open a new site the next with the whole team ready to go. Museums are not retail operations. The learning curve during a change process can be steeper than anyone expected. Piloting, even when it pushes ideas forward in one department at a time, allows the whole organization to ramp up slowly. 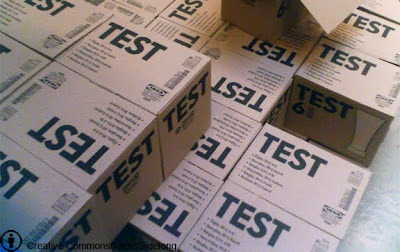 One of the real advantages of piloting is that the learning process happens within a safe space, is contained, and can be treated as a prototype in which experimentation and risk-taking are the rule. There is a terrific example of this right now at the Shedd Aquarium in Chicago called the BOSS project. BOSS is funded by a 2007 IMLS grant designed to explore new ways to ensure programs meet audience needs. In that spirit, BOSS brings community volunteers on board as full members of the planning team to design and implement new programs. What are the mechanisms for sustaining new relationships with volunteer committee members? Has this process changed volunteers? Where can community volunteers have the biggest impact moving forward? But Williams believes that the project has already demonstrated some key ideas. For one, Williams thinks BOSS is redefining what users expect from the Aquarium in ways that will enhance the organization’s long-term impact on users. Internally the program has been a success, too. We are looking forward to seeing how the experience of this one project team continues to inform the culture of a large organization.